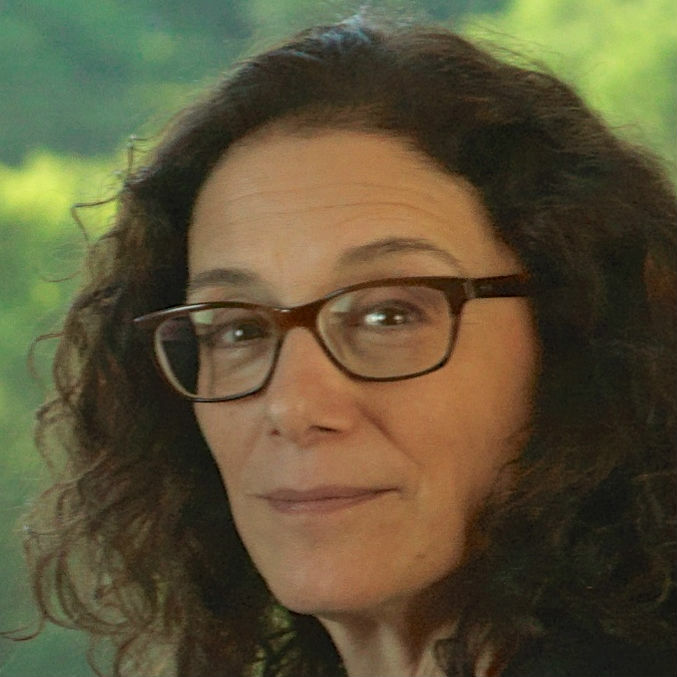 Meredith Bergmann, A’77, is a sculptor and poet. 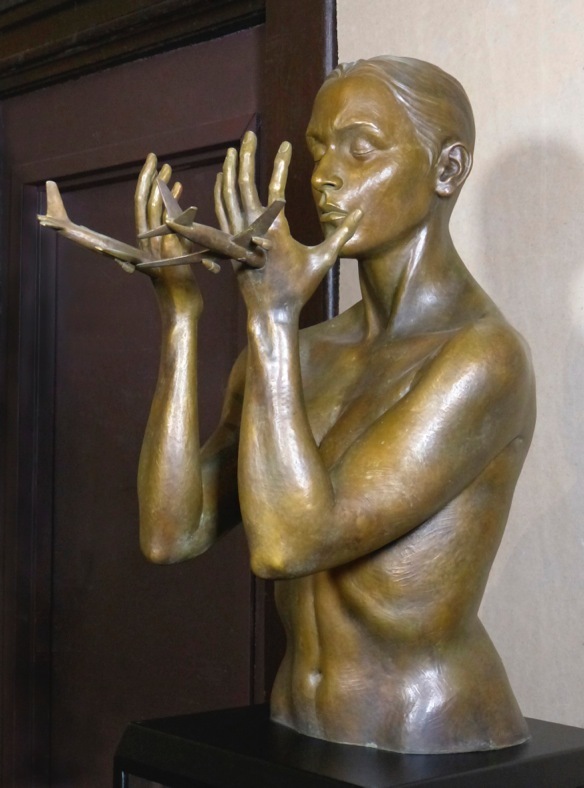 She is well known for her monumental sculptures in bronze or resin which incorporate figures, stories and messages. 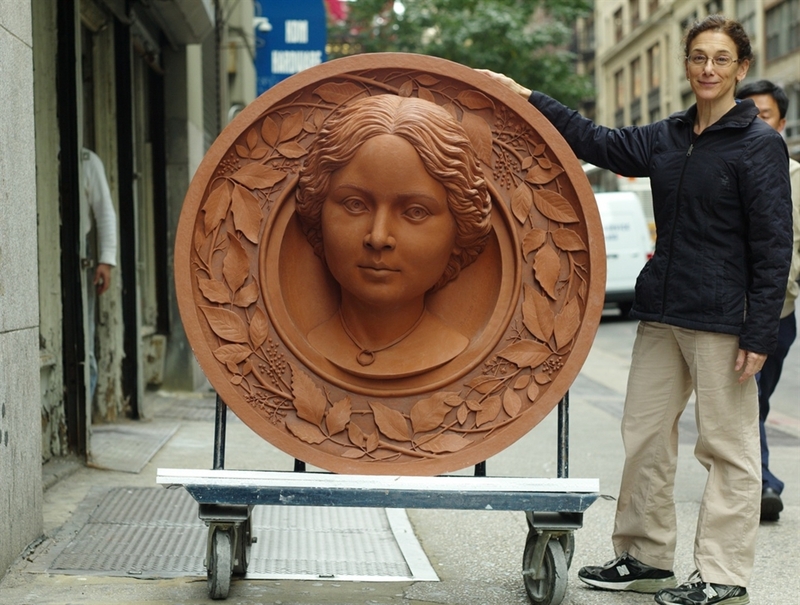 She has been commissioned by the Roosevelt Island Disabled Association to sculpt a memorial sculpture of Franklin D. Roosevelt titled “FDR Hope” for installation on Roosevelt Island.She was recently interviewed by Mary Lynch, ChE’82. I loved making art when I was very young. I was also interested in theater, music and writing. That is why I decided to attend Wesleyan University. At Wesleyan, I studied art history, studio art and printmaking. One of my professors there was very interested in book design and in poetry. He worked in the intersection of art and literature which I still find interesting. I left Wesleyan after two years because I wanted to live and work in New York City. I did some avant garde theater and I studied Communication Design at Parsons. Then I applied to Cooper Union where I began as a graphic design major. I transferred in as a Junior. What are some of your memories from that time? This was before computers, so design projects required hand cutting shapes and letters with an Exacto knife. Every project involved doing and redoing layouts with rubber cement. Do you remember any of your professors? Joel Meyerowitz was my photography professor. Ruben Kadish and Hans Haacke taught sculpture. Don Kunz was a great calligraphy teacher. And Brian Swann‘s poetry class was fun. Dore Ashton was my advisor, and at the end of my junior year she suggested that I try working in the bronze foundry at Cooper. So you switched your focus from design to sculpture during your senior year? Yes, and I loved sculpting in wax which allows you re-create your ideas easily in 3 dimensions, and then I love how the foundry process produces a casting that will last for centuries. During this period, my sculptures were of objects. They were allegorical and whimsical. I was awarded the Elliot Lash award for sculpture at graduation. I went to Europe and first traveled through France and Holland. Then I went to Florence, Italy where I took a course in Italian and another in jewelry design. Then I went to Pietrasanta which is near Carrara and is the region where Italian marble is quarried. There were sculptors working in marble everywhere there, and there were also 7 foundries doing bronze castings. I spent 9 months in Pietrasanta producing sculptures. Many of them were human figures. I decided that I wanted more training in sculpture and in anatomy. Where did you get that training? I came back to New York City and took courses at the Art Students League and the NY Academy of Art. I also audited Art History classes at Columbia University. In 1981, I did a public art project on 8th Avenue. The venue was called 10 on 8th because there were 10 showcase windows on 8th Avenue. I sculpted a 23 foot long frieze depicting the 10 Commandments as a traffic jam: “Traffic Frieze”. 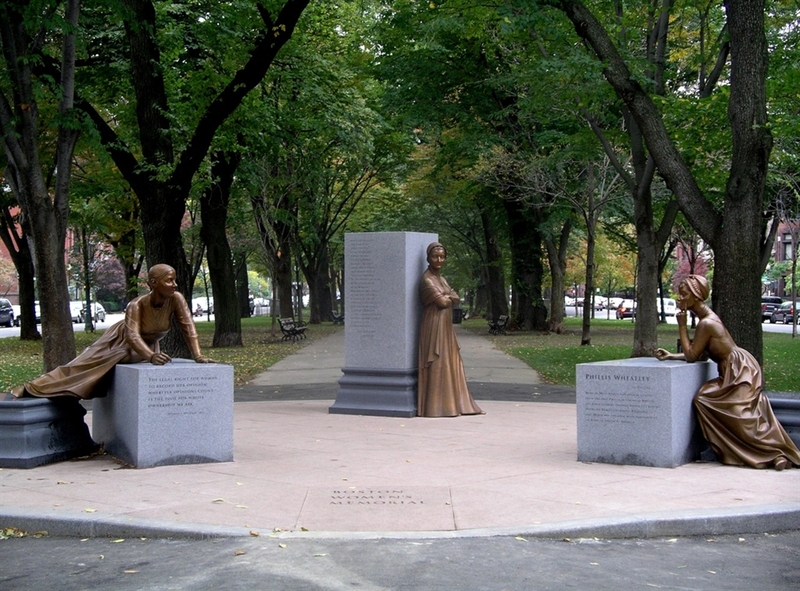 Then in 1998, I won a competition to create the Boston Woman’s Memorial. This project was completed in 2003. Tell me about the Boston Women’s Memorial. When I was commissioned in 1998, a committee had already been working on ideas for this project for 12 years. The memorial site is on Commonwealth Avenue in Boston. That very sedate avenue had many statues commemorating famous men in history, but none commemorating any women. The committee chose the three women that would be represented. By choosing a diverse set of women, they hoped to, in some ways, represent all women. 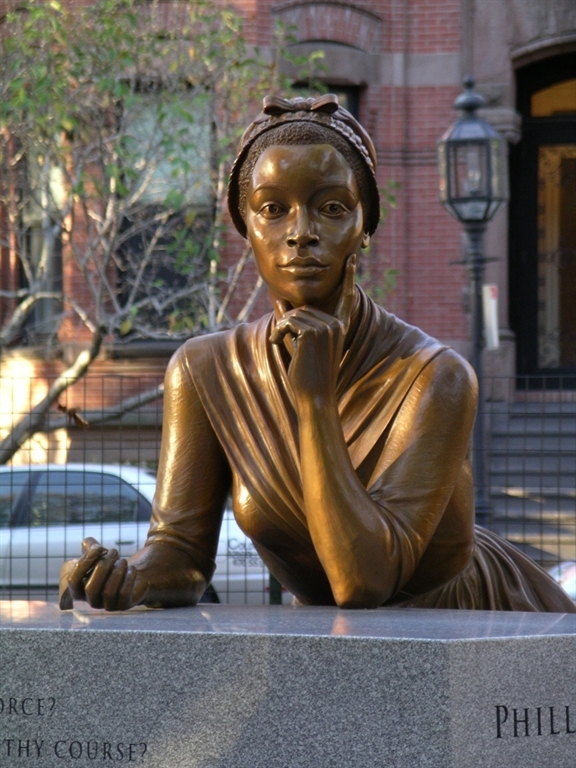 The women are Abigail Adams, who was a strong advocate of women’s rights, Phillis Wheatley who was the first published African-American poet and Lucy Stone who was one of the first women to keep her own last name after marriage and one of the first American women to earn a college degree. They all had an impact on society through their speeches and writings. The committee wanted a memorial that would harmonize with the setting but also be contemporary. I welcomed that challenge. I noted that the existing sculptures of men are all mounted above eye level on pedestals that carry inscriptions. A saying that ran through American society and “Women’s Lib” at that time was that women needed to come down off their pedestals so they can be seen them as real people and accomplish real things. I decided to literally do that with the 3 women portrayed in this memorial. My sculpture places the women at ground level so that you can walk right up to each of them and their pedestals have been re-purposed. Phillis Wheatley’s pedestal becomes a writing desk, for example. Do you have any pieces on display in New York City? 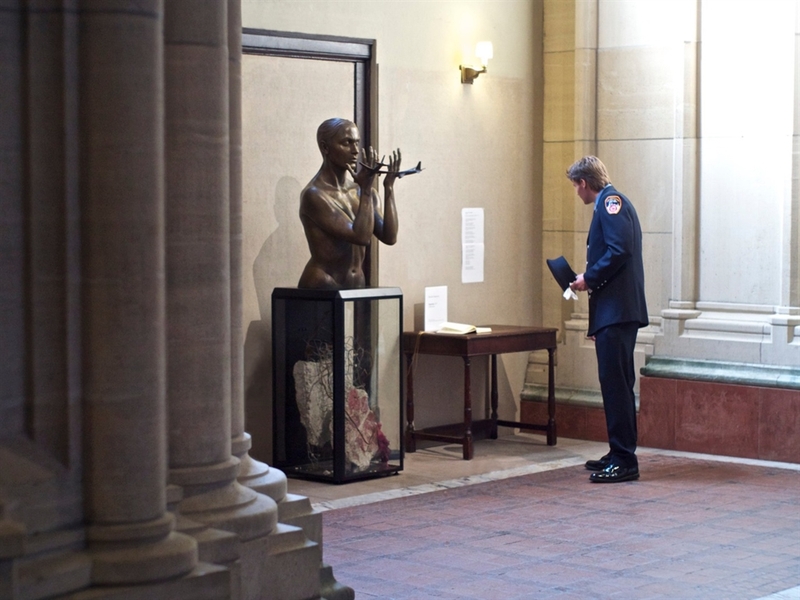 I have a memorial to September 11th installed in the Cathedral of St. John the Divine, and a monumental portrait of “Pinky” at the Brooklyn Historical Society. The September 11th sculpture symbolizes the attack on our city. New York City is sculpted as a strong and beautiful woman who represents western ideals. “Pinky” was an enslaved girl whose freedom was purchased by Reverend Henry Ward Beecher and his congregation. 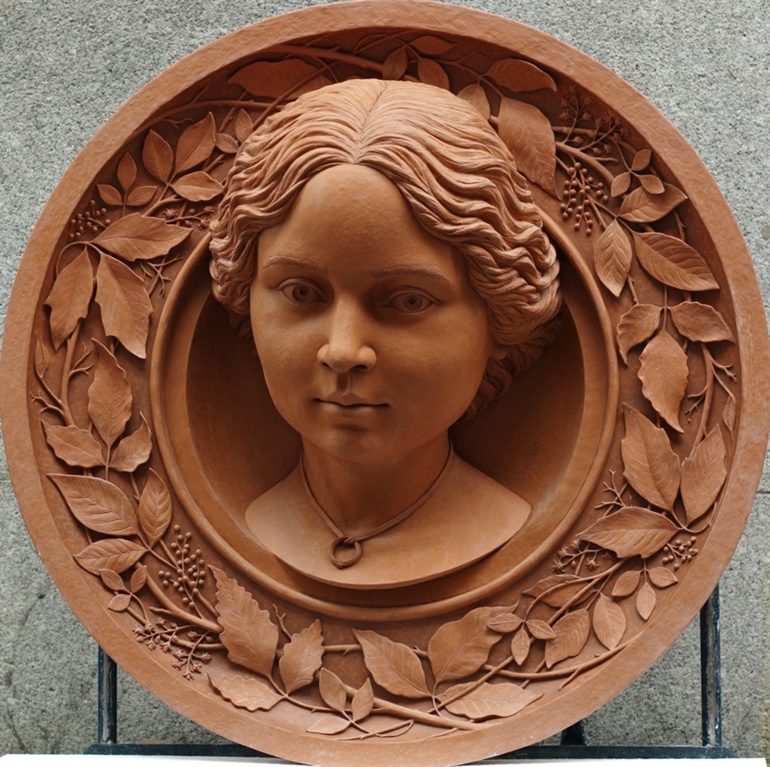 I have portrayed her in the style of European heroes who are often encircled by laurel vines. Pinky is surrounded by vines of poison ivy because this American plant, like racism, makes us suffer for our skin. How much research do you do when creating a memorial sculpture? I do quite a bit. These public works have production periods that sometimes take years. During that time, I make models and then enlarge them, and I keep reading about the subjects. That research allows me to keep learning and to keep inspired. Tell me about the FDR Hope Memorial. I was contacted by the Roosevelt Island Disabled Association three years ago. They specifically asked for a design that incorporates FDR in a wheelchair greeting a disabled child. My research into FDR led me to discover his great sense of fun and humor. I visited his Little White House in Warm Springs, GA because that is where he developed a therapy center for children with polio. He also organized games of water polo and made life fun for these children. He changed people’s attitudes toward the disabled. During his time, it was common for people to hide disabled family members and many people equated physical disabilities with feeble mindedness. FDR was adamant about showing he was fully capable of being President despite the disability in his legs. He is a role model for the disabled community and I find him very inspiring. The FDR Hope Memorial work includes two figures. It has FDR in his customized narrow wheel chair reaching toward a young girl who walks with a leg brace and a crutch. It will be sited on Roosevelt Island in South Park, just north of the Four Freedoms Park. You are a poet in addition to being an artist. Can you tell us a little about your poetry? I have always enjoyed writing poetry. I became more deeply interested in it when I was researching the life and work of Phillis Wheatley. I ended up taking courses in poetry writing at the 92st Street Y that emphasized form and prosody. I enjoy writing Sonnets and Villanelles. I am the poetry editor for the American Arts Quarterly and its related website. My chapbook of poetry is forthcoming from Exot Books in June of 2014. This entry was tagged Boston Woman’s Memorial, FDR Hope Memorial, Phillis Wheatley, Pinky. Bookmark the permalink.